The album is titled "Tarkio Road" on labels. I’m not quite sure if “One Toke Over The Line,” which peaked at number ten on the singles charts that year by the famed Brewer & Shipley, who back in 1971 were personally sited by then Vice President Spiro Agnew [who was convicted and sentenced to three years for tax evasion and receiving criminal kickbacks] as being subversive to the values of American youth, was a novelty song or not … it was the only reason most people purchased this album. And, as if the times weren’t strange enough, the song was preformed on the ultra conservative musical venue The Lawrence Welk Show, by the wholesome duo of Gail & Dale, who touted the song as being a modern day spiritual classic. The backstory that sparked the song goes something like this according to Brewer: “We were at the Vanguard in Kansas City, Missouri, the band was playing the show because we were seeking to escape the LA music scene, so we started a tour of our Midwest homelands. Shipley was given a block of hash and told to take two hits. Of course ignoring the advice, he instead took three.” Shipley himself recounts that, ”I go out of the dressing room, I’m also a banjo player, but I didn't have one, so I was playing my guitar, and Michael (Brewer) came in and I said, 'Jesus, Michael, I'm one toke over the line.' And to be perfect honest, I don't remember if Michael was with me when I took that hit or not. I remember him as not being there, though I think Michael remembers that he was firing up the pipe. He started to sing to what I was playing as I chimed in and boom, we had the line.” Brewer also remembers the occasion saying, "I just cracked up, I thought it was hysterical. And right on the spot, we just started singing, 'One toke over the line, sweet Jesus,' and that was about it, then we went onstage.” You can see Gail & Dale perform the song here: https://www.youtube.com/watch?v=Ye3ecDYxOkg. Yes, of course the song was about smoking weed, and has been sited in Rolling Stone Magazine as being one of the 15 Greatest Stoner Songs Of All Time,. To most folks, “One Toke Over The Line” was a one hit novelty record, though truth be told, while Jerry Garcia of the Grateful Dead, didn't play on this track, Jerry did lay down some sweet peddle steel guitar on the rest of the album, making them a sort of west coast Simon & Garfunkel. Brewer & Shipley laced their music with light-handed jangling pop influenced countrified flavors that went down easy, especially when mixed with their tender ballads of introspection … though the hit pretty much pigeonholed the pair, who desperately wanted to step out of the shadow of that single and be recognized for their socially relevant attitudes, referencing the B-Side “Oh Mommy,” which was a plea to toss then President Richard Nixon out of office. Whether or not the duo deserved more praise for their other singles and albums is debatable, though this gem should certainly spark you to investigate their other releases with a bit more care and enlightenment. 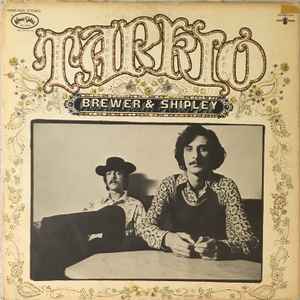 All that being what it is or isn’t, certainly enshrined Brewer & Shipley a place in the annals of musical history, making them outspoken trailblazers, who brought the pleasures of illegal substances to Top 40 AM radio, and a very wide audience.